Flavored Rolling Papers vs Unflavored Rolling Papers: What's the Difference? Flavored Rolling Papers vs Unflavored Rolling Papers: What’s the Difference? You can smoke for years without ever learning to roll your own cigarettes. In fact, you may assume that the hand-rolled ones you see others with are full of something other than tobacco (and, hey, you might be right about that sometimes). But you have plenty of reasons to learn more about rolling papers and to consider using them to roll your own cigarettes. What are rolling papers, and how do you use them? Rolling papers are thin papers that can be used to make cigarettes. They generally come in small envelope-like boxes, which allow them to be pulled out one at a time like tissues. Each also often has a strip of liquid-activated adhesive on the edge of one side of the paper, which can be used to hold the finished cigarette together. 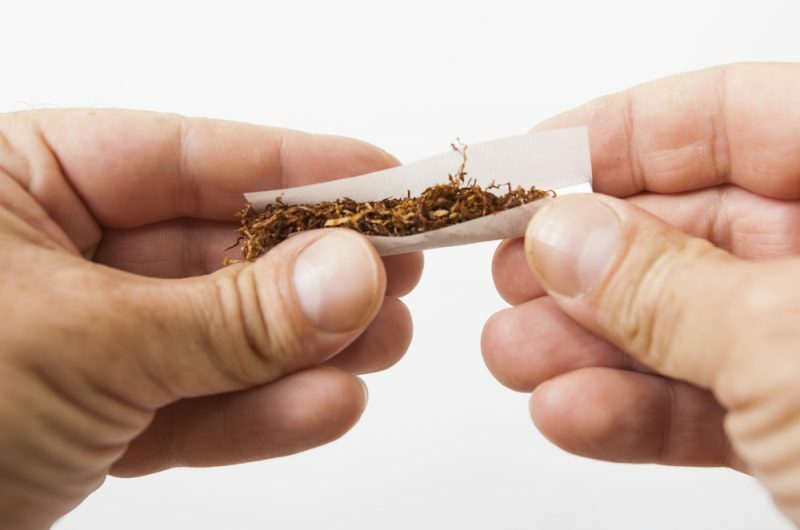 To roll your own cigarette with a piece of rolling paper, all you need to do is put a bit of loose tobacco on the paper and spread out in a line. If there’s adhesive on your rolling paper, make sure that it’s on the side that’s facing up and that it runs parallel to the line of tobacco. Organize that little line-mound of tobacco near one edge (not the adhesive one), and then roll the paper around the tobacco as if you’re making a burrito. Keep rolling and then lick the adhesive before rolling that final bit in. It should hold together as a cigarette. You can also make cigarettes with cigarette-rolling machines that can be basic or quite elaborate. You can add filters and, of course, use things other than tobacco. But however you make your cigarettes, you’re going to find that you save a lot of money. Buying loose tobacco or pipe tobacco online and preparing it yourself is a whole lot cheaper than pre-made cigarettes, which are often taxed disproportionately compared to DIY solutions. Rolling papers are pretty simple, but manufacturers have found ways to make them more interesting. One intriguing innovation upon basic rolling papers is the flavored rolling paper, which is pretty much exactly what it sounds like. Rolling paper tends not to change the flavor of your smoking experience all that much unless flavor is added. Flavored rolling papers can give your cigarette a different feel, combining in interesting ways with the flavor of the tobacco inside. You’ll find rolling papers available that have been engineered to taste like everything from grape to birthday cake. So what’s the difference between flavored and unflavored rolling papers? Just the flavor, really. The two types of papers come in pretty much all of the same sizes, work with all of the same rolling machines, and generally come in the same thicknesses. They both work equally well for rolling cigarettes, and both will be pretty effective in helping you save money relative to overpriced pre-made cigarettes. While those hoping for a more “natural” experience might prefer the unflavored papers. But no one should be alarmed about the flavored ones. Though health dangers are associated with smoking, no issues are associated specifically with flavored rolling papers. They’re as safe as they are flavorful. In the end, then, it’s just a matter of preference. What do you prefer your cigarette to taste like? If you enjoy interesting and novel flavors mixing with that classic tobacco flavor, then you’ll want to check out flavored rolling papers. If you’re here for the tobacco flavor and want to enjoy it with no interference, then you’ll want the simple unflavored rolling papers. And, of course, nothing is stopping you from trying both varieties (and the many specific types of flavored papers), or from continuing to mix and match long after you’ve learned the difference in feel and taste between the varieties. If it’s part of what makes you love smoking, go for it!